When my husband and I found out that we were expecting Blueberry, we were not quite married yet. We knew we were going to get married at that time and had already started planning a September 24th wedding. I love fall. I dreamt of us having an outdoor fall wedding. But once we learned of her existence, we knew that a September wedding was no longer in the cards, so we started to plan for a May wedding. I started googling maternity wedding gowns online. My bouquet was adorned with two tiny silver angel wings. Blueberry walked with me down the aisle with her grandfather holding my hand and her daddy waiting for me at the altar. 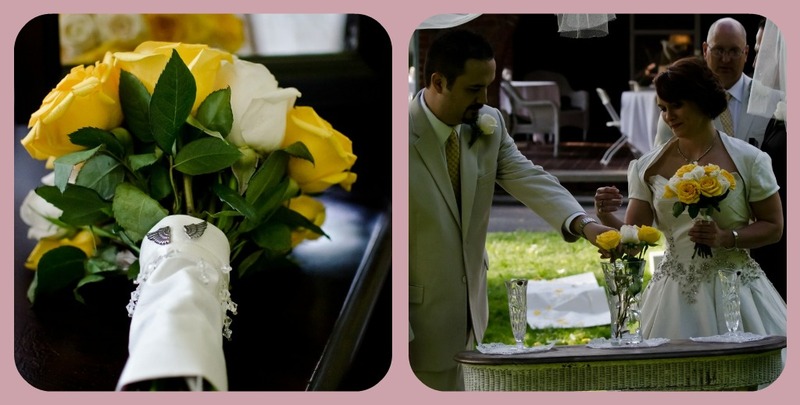 During the rose ceremony, my husband and I placed a single white rose in the vase to memorialize our baby. She was there. With us. My husband and I were blessed to conceive Bean the week of our wedding. Ironically, we are having the quintessential honeymoon baby. We were fortunate that conceiving our sweet Bean came quickly, but only after months of healing, blood tests, a saline sonogram, and minor surgery. Today is Blueberry's due date, but it also the day that I am 18 weeks pregnant with Bean. Bittersweet. I miss our lost baby dearly. But I know that she is well looked after and loved in heaven. I love my Bean. She is growing. My belly is swelling. In a couple of weeks we will find out for sure if Bean really is in fact a "she". I am blessed and grateful. I have been able to experience the power of a mother's love four times so far in my lifetime.